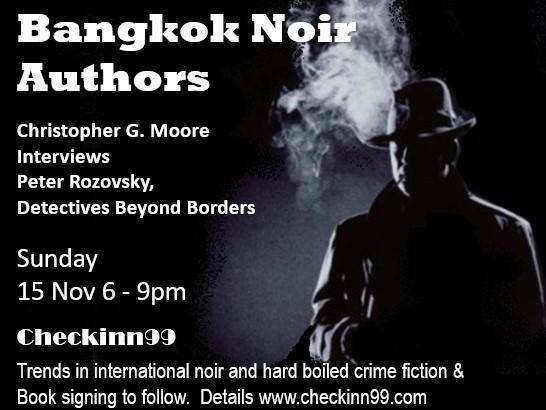 Jonathan DeHart writes an in-depth article on Bangkok crime fiction in The Diplomat today. Thailand’s capital is home to a vibrant community of writers exploring the city’s vast underbelly. Excellent overview of some the city’s literary forces. Great to be interviewed for this piece and wonderful to see Crime Wave Press being mentioned. Authors James Newman, John Burdett and Christopher Moore also have their say. Read all of Bangkok Noir: Crime Fiction in the City of Angels here.